Most Americans -- 56 percent -- say the U.S. paid too high a price to secure Bergdahl's release. Among veterans, that figure rises to 65 percent. Republicans and independents say the deal cost the U.S. too much, while Democrats are more divided: 42 percent think the terms of the agreement were reasonable, but almost as many -- 39 percent -- say the U.S. paid too high a price. The president has been criticized by some members of Congress for not informing them of the prisoner exchange at least 30 days before it was carried out, as required by U.S. law. 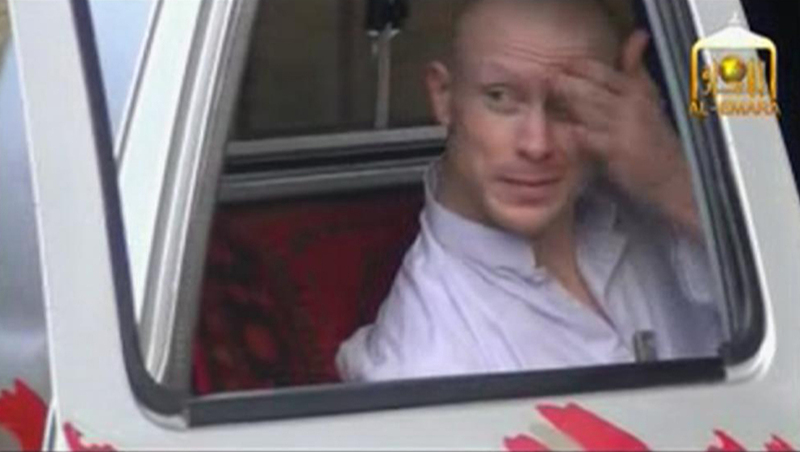 The administration has defended the decision to move hastily with the swap, arguing there was an urgent risk to Bergdahl's health, and that any leak of the plans could have presented an additional threat to his safety. Americans give the president low marks for his handling of the release of Sgt. Bergdahl - just 35 percent approve, while 49 percent disapprove. He gets support from Democrats -- 61 percent approve of his handling of the matter, but most Republicans disapprove. The poll finds a clear majority -- 72 percent -- think President Obama should have notified Congress in advance, and that includes 55 percent of people identifying themselves as Democrats. Historically, CBS News Polls have often shown that Americans prefer a president seek the approval of Congress on military matters. There are reports that Bergdahl left his military base in Afghanistan before his capture, but many Americans (40 percent) have yet to form an opinion on whether he deliberately abandoned his post. Among those with an opinion, 35 percent think Bergdahl deliberately left (including 43% of military veterans), while 25 percent say he did not. Most Americans - 56 percent - think the U.S. paid too high a price in the agreement to get Bergdahl released. Among veterans, that figure rises to 65 percent. Republicans and independents think the deal cost the U.S. too much, while Democrats are more divided: 42 percent think the terms of the agreement were reasonable, but almost as many - 39 percent -say the U.S. paid too high a price. Some Americans express concern about terrorism amid the release of the Taliban prisoners. The poll shows 49 percent think the prisoner exchange will increase the threat of terrorism against the U.S., while 40 percent say it will have no effect. Only 3 percent say the exchange will result in a reduced threat of terrorism against the U.S.